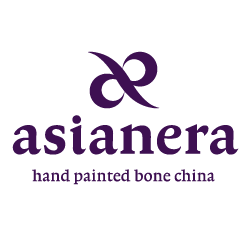 Asianera's boutique factory is located in Tangshan, which is 170 kilometers or a 100 miles east of Beijing, as many other aspects of the company, it is unique. Located in Tangshan, 170 kilometers (100 miles) east of Beijing, Asianera's boutique factory, as many other aspects of the company, is unique. As a reflection of our company's culture, it is not only a place which produces high-quality product; it is also a place which nurtures creativity, learning, and camaraderie while still having fun. All this is not so much embodied in the hardware but more in the software. Our culture of creativity, learning and teamwork is constantly reinforced by frequent group activities like field trips to art exhibits, nature walks, where our artists practice basketball and ping pong, and all factory parties where small work groups and individuals volunteer to perform their favorite song, poem compositions, skits, and dance routines. From our uniquely designed showroom with its unusual fish pond and tea lounge, to our artists studios and extensive art library, to our fountain and open green areas, we strive to create an oasis of calm and culture.